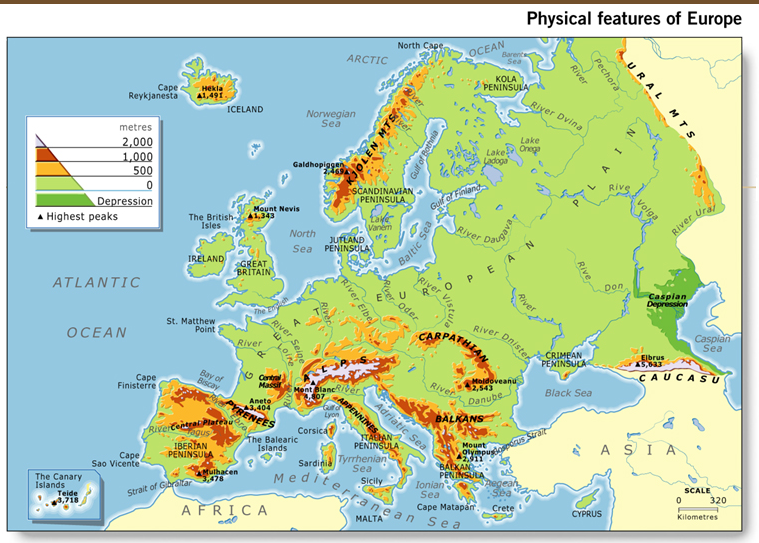 SS6G7 Locate selected features of Europe. a. Locate on a world and regional political- physical map: the Danube River, Rhine River, English Channel, Mediterranean Sea, European Plain, the Alps, Pyrenees, Ural Mountains, and Iberian Peninsula. b. Locate on a world and regional political-physical map the countries of France, Germany, Italy, Russia, Spain, Ukraine, and United Kingdom. SS6G8 Explain environmental issues in Europe. c. Explain the causes and effects of the nuclear disaster in Chernobyl, Ukraine. An excellent Chernobyl video to watch if you have time! SS6G10 The student will explain the impact of location, climate, natural resources, and population distribution on Europe. a. Compare how the location, climate, and natural resources of the United Kingdom and Russia affect where people live and how they trade. b. Compare how the location, climate, and natural resources of Germany and Italy affect where people live and how they trade. SS6G11 The student will describe the cultural characteristics of Europe. a. Explain the diversity of European languages as seen in a comparison of German, English, Russian, French, and Italian. b. Describe the major religions in Europe; include Judaism, Christianity, and Islam. c. Explain how the literacy rate affects the standard of living in Europe.